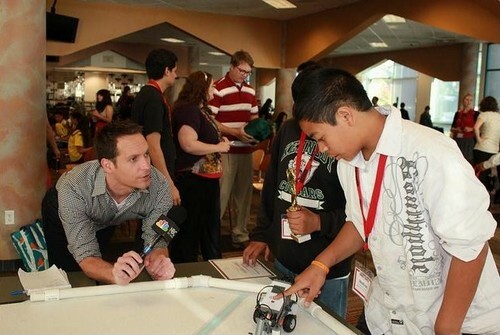 My volunteer work with robotics began my sophomore year in high school, when we mentored a FIRST Lego League (FLL) team. FLL teams are given a game challenge and a theme, and they have 3 months to design, build, and program a Lego Mindstorms robot to complete the challenge, and do a reserach project on the theme. My junior year, we continued to mentor that team, as well as began running the local FLL competition. My senior year, we started a project to start more FLL teams. I gave presentations to principals, parents, and interested kids. That year, we mentored 3 FLL teams, 2 of them newly started, and organizing and running the FLL competition from start to finish. I truly loved mentoring the FLL teams, where we went each week to help them. I loved being able to teach the kids, inspire them, and watch them learn and succeed. 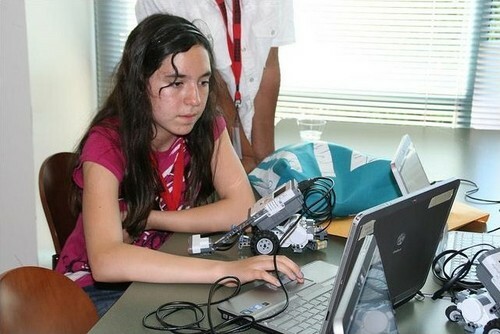 When I came to college, I knew I would miss it, so I was thrilled to become part of a small group called Robotica dedicated to teaching middle school robotics with the intent of starting FLL teams. We work through Citizen Schools, which is an after-school program for disadvantaged middle school kids, where we go once a week and teach Lego robotics. They run on 10-week semesters, so I have taught for 3 semesters. In the fall of 2010, we had 2 FLL teams, and getting to take them through the season and to competition was one of the highlights of the year for me because I knew that we were giving them an opportunity they would never otherwise have, and they rose to the challenge amazingly. I am now the president of this group, and I hope to expand what we can do and how many kids we can reach. In the fall of 2011, I partnered with Dr. Mark Schar to coach two FLL teams at another middle school. In my efforts to expand what Robotica does, we hosted a 12-team FLL competition here at Stanford. Being the tournament director was a new challenge for me, but with the help of my family and friends, the competition went completely smoothly and was a huge success! I have also volunteered at many competitions, both FLL and FRC (see list below). When my team was running the FLL competitions, I was in charge of queuing and inspection, and I have now been a referee for two years. I was also a volunteer at an FRC regional, where I was doing scoring and field reset. I plan to continue volunteering at both levels as much as I can, both by mentoring teams and volunteering at competitions. I truly believe in the values of FIRST, and I will do whatever I can to spread them and keep them alive.